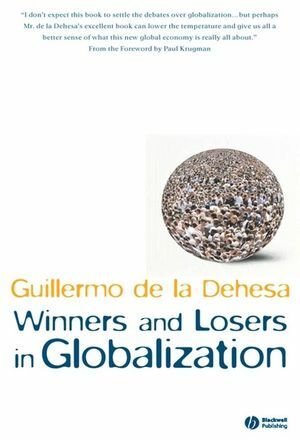 Seeking reason in the impassioned globalization debate, de la Dehesa examines who stands to win and who stands to lose from the process of globalization, in a style accessible to readers unfamiliar with economic theory. Assesses the impact of globalization on both labor markets and financial markets, on global economic growth and on income distribution and real convergence between different national economies. Guillermo de la Dehesa is the Chairman of the Centre for Economic Policy Research in London. He spent twenty years in various Spanish governmental positions from the late 1960s through the late 1980s. Since leaving the public sector he has held a number of Chairman and Chief Executive positions in the private sector; he is currently Vice Chairman of Goldman Sachs Europe, Independent Director of the Santander Banking Group and Aviva PLC, among others. He is a member of the "Group of Thirty", a nonprofit, independent consultative group which counts luminaries such as Mervyn King (Governor at the Bank of England), Lawrence Summers (President of Harvard), Paul Krugman and Stanley Fischer among its ranks.